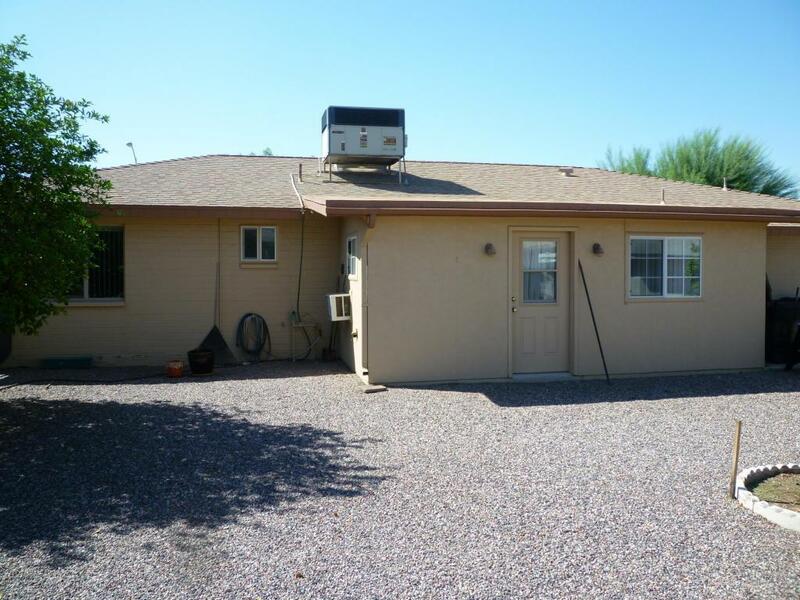 This popular 300 model has 2 bedrooms, 1.75 bath. Hall bath has $14,000 walk-in tub 2012. Master suite has 3/4 bath. 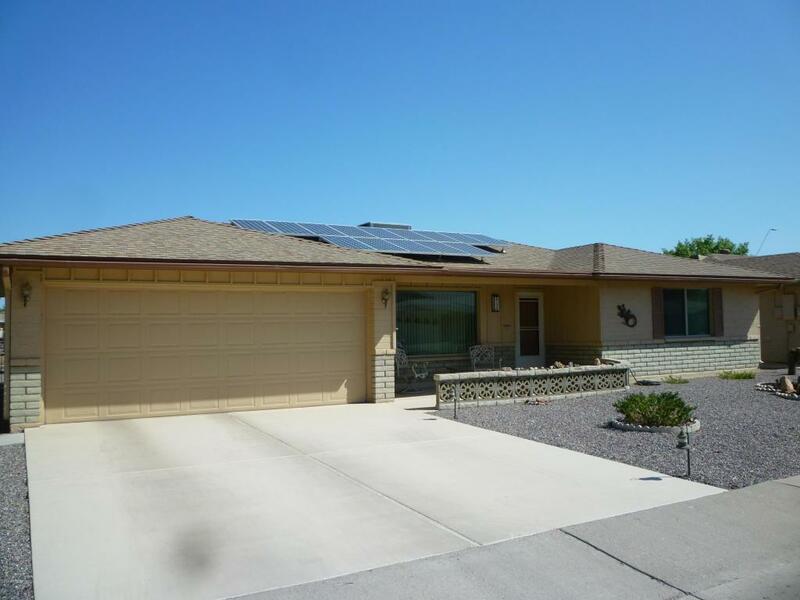 Solar panels owned and grandfathered by SRP. New kitchen cabinets 2004. 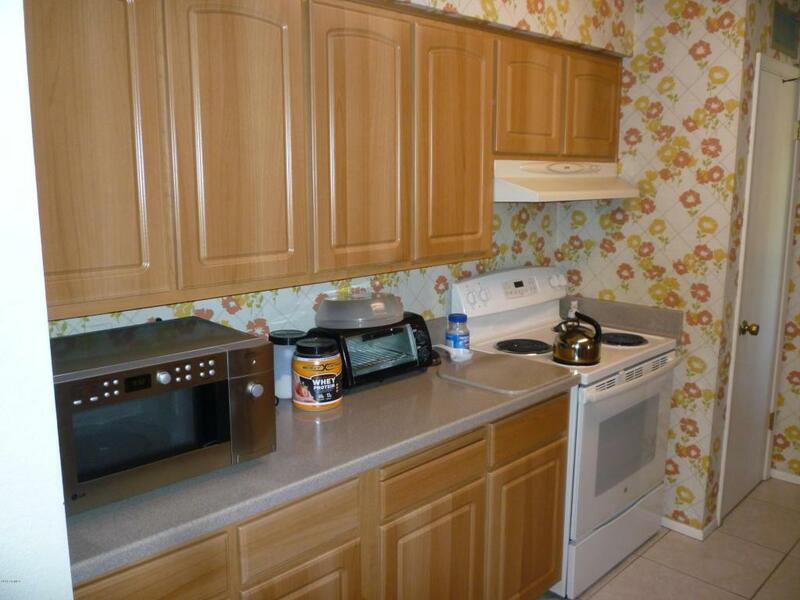 Newer appliances, hard surface counter tops, R/O system, stainless refrigerator French door bottom freezer. New tile floors throughout 2008. New dual pane low-e windows 2016. Water heater 2014. Trane heat pump A/C 2007. Architectural shingles 2007. Water softener, washer, dryer included. Water heater 4 yrs. AZ room size is not included in county measurement, includes wall unit a/c. 2 car garage with electric opener and workbench. Block wall around back yard. Landscape time for back yard. Sunland Village is a 55 Plus community. 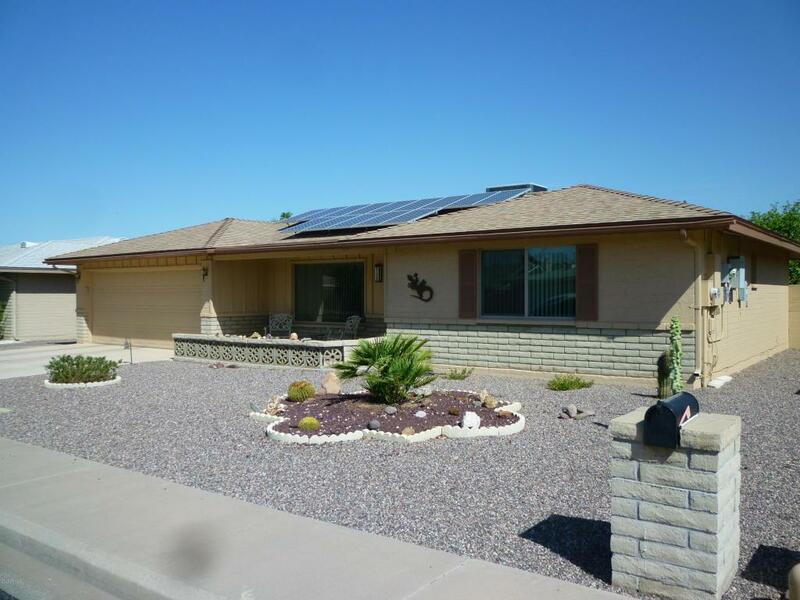 Buyer to pay $1200 Common Property Maintenance Fee to HOA at close of escrow.